Unemployment benefits are a basic right for employees who have been terminated in the State of California. The California Employment Development Department (EDD) is responsible for administrating the Unemployment Insurance (UI) program in the state. The Unemployment Insurance program provides workers who lose their jobs through no fault of their own with unemployment insurance payments. The program is 100% funded by employers who pay taxes on wages paid to employees. The Employment Development Department is one of the largest state departments with employees at hundreds of service locations throughout the state. Sometimes the EDD makes a mistake or acts on incorrect information provided to them by an unscrupulous employer. If you believe you have been improperly denied unemployment insurance benefits or have been told to repay benefits received, find out if an attorney can help by calling 650.320.1616. Were you fired for misconduct? Our office has helped numerous clients win their case even though they were fired for what they were told was misconduct. An angry boss can fire you without actually saying the words, "You're Fired!" Did you leave your job voluntarily? Just because you quit, it does not automatically mean that you lose your unemployment benefits. We have experience in helping clients in cases of constructive dismissal when their boss's behavior became so intolerable that they had to resign. 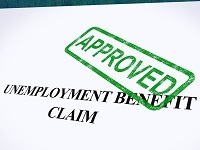 Unemployment insurance cases raise many complex issues. In dealing with the EDD you need to know how to present your case. This includes winning strategies, as well as how to defend yourself against the attacks of your employer and his attorney. The Law Offices of Brian E. Hawes has successfully represented numerous clients in their appeals to the EDD. We have routinely succeeded in convincing judges to reverse the decisions of the EDD and restore rightful benefits to our clients. Call today and find out if we can help you get your benefits back. Sometimes the EDD demands that unemployed workers pay back some or all of their unemployment insurance benefits. This can amount to several thousand dollars. If this is your case, we represent clients on overpayment issues, where we have been able to reduce the amount owed, or even eliminate the obligation to repay the EDD altogether. To date we have saved our clients over $150,000 in alleged overpayments and penalties, and the amount continues to rise. Contact our office now to set up an appointment to discuss your unemployment insurance case.